Kamado Grille has two video walls and two displays behind the bar. 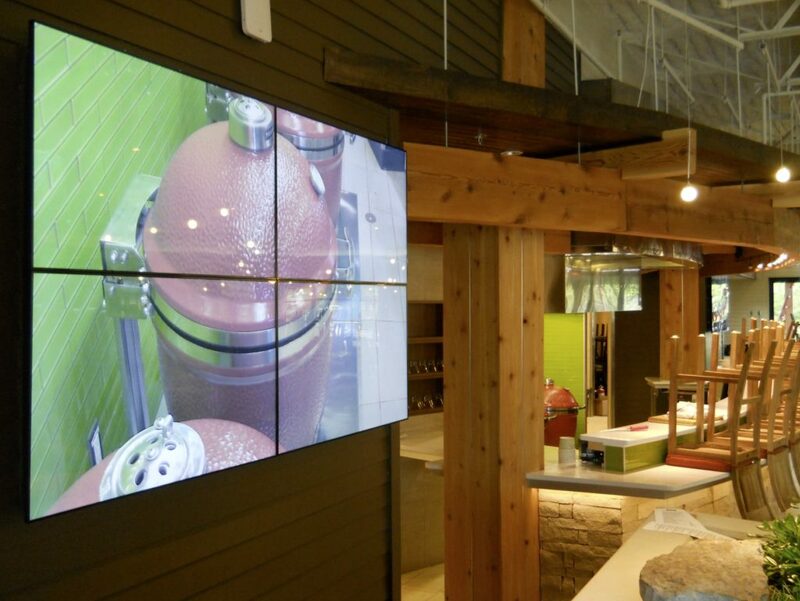 Kamado Grille digital signage to show videos of the grills that they use, featured promotional material and live video feeds from their demo kitchen. Read more about how Kamado Grille uses Rise Vision in this blog post.